Physiotherapist Jamie Camp provides exercises to improve pelvic range of motion to enable balance throughout gait changes and transitions. To achieve balance, our hips need to move in all three dimensions freely to accommodate the horse’s movement and allow us to keep our heels grounded and our leg on our horse. 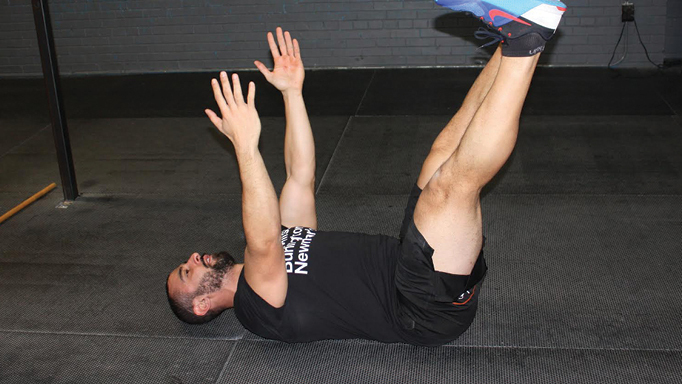 Having full pelvic range of motion also improves core stability to support an effective ride. A horse’s hind leg striking the ground causes a ripple effect up through the rider’s hips and spine. 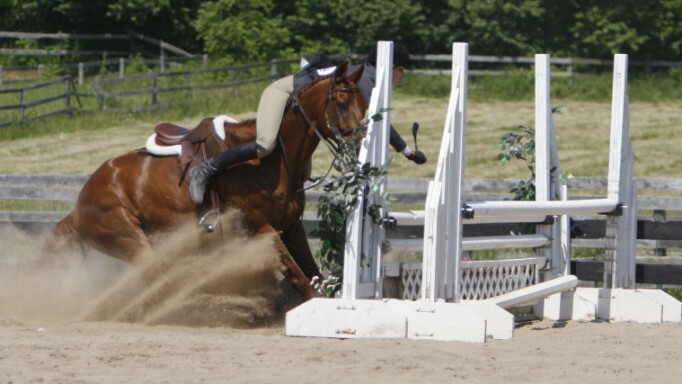 The ability to let that side hip hike in response to the horse’s movement allows the rider to stay balanced and level on the horse instead of tipping off the other side (see figures). keep ourselves in a safe place. 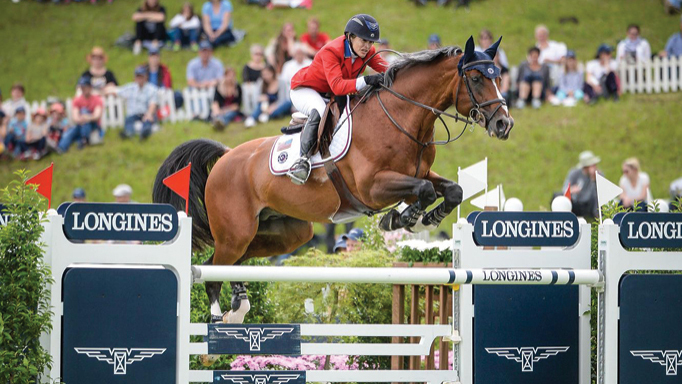 Below are a series of movements that can be used as assessment and corrective exercises to improve your ability to get your leg properly on your horse, and enable balance through gait changes and transitions. Essentially, normalizing your own pelvic/hip movements on foot will help you balance yourself and your horse. 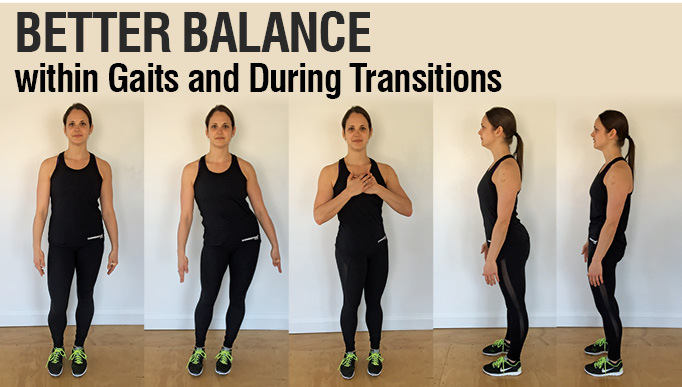 These movements should be done standing in front of a mirror with feet shoulder-width apart, staying true to the plane of movement that you are testing. Pay attention to which direction feels easier, goes farther, and if/where you feel pinching/tension/pain, etc. and simply practice where needed. Explore these movements to assess yourself, and use them to remind your body what range should be available on each side. Practice each a few minutes at a time in your daily routine (a.m. and p.m.) and as warm-up and cool-down. Limitations or pain may warrant assessment by an experienced therapist. Try these exercises for small riders on big horses. 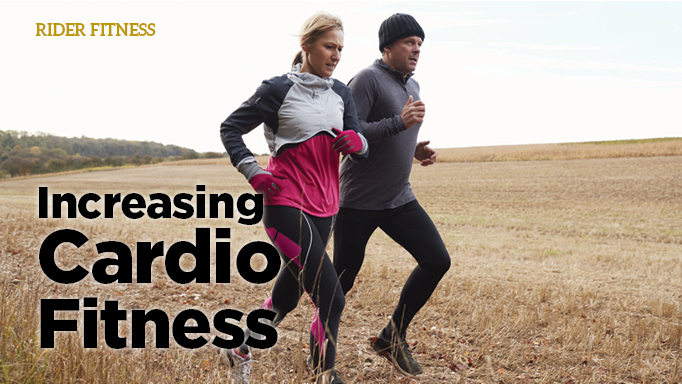 Best exercises to get you moving and improve your cardio fitness.